The Westside Denture Centre provides emergency and same day repairs of implant dentures, full dentures and partial dentures. It is, however, necessary to have the repair assessed as there are an endless variety and difficulty of denture repairs. Call for an emergency appointment today! 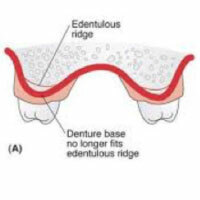 Denture relines should typically be done to refit your dentures to your ever-changing gums once every two years. 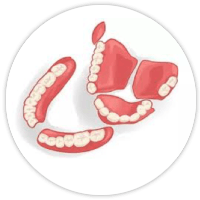 Your gums and jaw bone are forever shrinking as you age but your denture does not. This results in loose fitting dentures which may fit like a comfortable, old pair of shoes but at the same time can cripple your jaw and cause sore gums and food getting under which you have simply adapted to. Our clinic offers 30 minute relines while you wait, however, the relining material is not as good as the lab processed relines which takes 4 hours. This material is more durable, accurate and color stable. 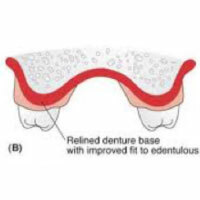 Permanent soft liners are a soft rubbery material that provide extra cushioning for the fit surface of lower dentures. It can be helpful for patients who have little lower jaw bone and continually have sore lower gums. Interested in booking a repair or reline appointment?